5 Reasons to Choose Mr. Tree as Your Land Clearing Contractor | Mr. Tree, Inc. If you need to do some construction or renovation in an area that’s become overgrown with trees, tree stumps, brush, and other vegetation, you’ll need to clear the land first. This is easier said than done since even removing a single tree can be a massive undertaking. For many reasons, attempting to clear land is not a task you should attempt on your own. Instead, you’ll want to contact a land clearing contractor. Fortunately for people located in the Portland area, Mr. Tree is on the job. When it comes to clearing land, you can’t cut costs. The old adage, “You get what you pay for,” is certainly true when it comes to your land clearing contractor. That is to say, if you opt for the least expensive option possible, you will most likely receive low quality work and possibly have to pay a lot more later to fix mistakes made by a less-than-reputable contractor. While you should be wary of a contractor who will skimp on necessary costs, that doesn’t mean you should overpay, either. Many contractors will attempt to overcharge you by tacking on extra fees and forcing you to pay more than what the work is worth. Mr. Tree will never mislead you when it comes to costs. If you have land that needs to be cleared, contact them to receive a free estimate. 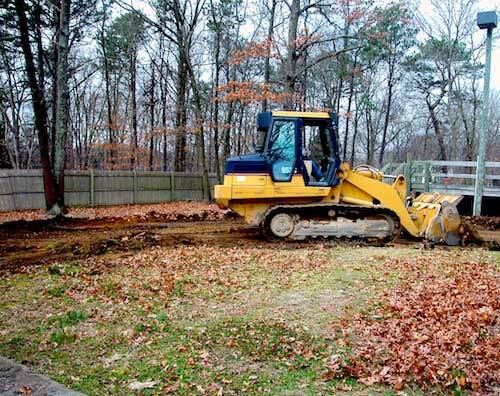 The type of service you’ll need when clearing your lot will vary widely depending upon what your plans are for the property. Whatever your plans, you’ll want to call in a skilled arborist to give the vegetation on your property a look first. Dead and dying trees can become a breeding ground for pests such as termites, threatening your home and other property. You’ll want to ensure that any rotten wood is removed quickly and safely before beginning any projects on the land. On the other hand, you may simply wish to beautify an area by having the already-existing trees pruned. Mr. Tree offers pruning services to clear away dead and dying wood from an otherwise healthy tree; they’ll also prune away overgrown branches that are extending too close to the home or blocking walkways. If the tree has grown too massive, you may need to have the tree trimmed as opposed to pruning. In that case, your arborist may need to climb into the tree, a task which requires a great deal of skill and experience. And, of course, if you’re looking to clear the land entirely, Mr. Tree offers tree removal and stump removal services. Removing a tree without damaging the surrounding property is an art and skill unto itself and Mr. Tree will send highly trained arborists to handle the job. Of course, cutting down the trees may seem simple compared to the often monumental task of stump removal; luckily, Mr. Tree also offers stump grinding services. They’ll come prepared with the heavy machinery that’s needed to grind down and remove a stump of any size, all while maintaining the integrity of the surrounding land. Mr. Tree also offers emergency tree removal services in the Vancouver and Portland areas; if a tree falls unexpectedly or seems as if it’s about to, Mr. Tree can get there quickly to get it taken care of. When you’re looking for a land clearing contractor, whether it’s for a big job or a small one, you’ll want to ensure they’re properly insured and have all paperwork in order. Always ask to see a license and proof of insurance before going into business with any lot clearing contractor. Make sure everything is current and all licenses are valid for the work that’s being done. Mr. Tree’s experienced professional arborists will be able to provide up-to-date licensing and insurance paperwork upon request. They’ll also be able to quote prices to you up front. Often, less reputable companies will demand to be paid in full before the job even begins; you should always take this as a warning sign that their work may be sub-par. Before securing the services of any company, you should also always check their references to ensure that they have left past clients satisfied. Upon request, Mr. Tree can point you toward scores of satisfied customers from the many years the company has been in business. Part of the reason it’s always better to look for a professional lot clearer as opposed to attempting the job yourself is the element of safety. Removing a tree can be a very risky proposal if you don’t have the right training and equipment. Contractors will arrive with all the proper headgear and hearing protection, as well as the appropriate equipment, and they will bring the right amount of people for the job. They’ll be highly trained on any potential dangers and take the proper time to assess every situation to ensure that it remains safe. Mr. Tree is also an OSHA-approved and Drug Free Workplace. If you’re going to put an important job in someone else’s hands, you naturally want to be sure that they’re experienced, trained, and dedicated to the work. When it comes to tree removal, proper training is key, both for the sake of your property and the safety of the person doing the job. Mr. Tree arborists are also dedicated to the health of your trees; they’ll take every precaution for the safety of people and property, and they’ll also work to ensure they don’t unnecessarily harm any healthy plants during the land clearing process. Every land clearing expert at Mr. Tree is trained in the latest techniques and knows how to handle the state of the art tools required to do the job. So, are you ready to clear your land? Contact us for an estimate.